This was another week that was so crazy busy it flew by in the blink of an eye. Yikes. Everything is moving forward and in the progress of getting done, but it’s all a juggling act, and all of us are working like lunatics at warp speed. Here are all the details. 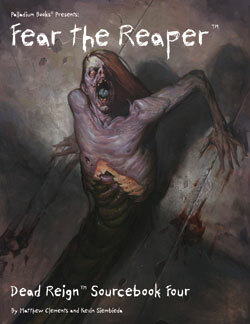 Dead Reign™ Sourcebook 4: Fear the Reaper™ is done and at the printer. It should ship sometime just before or just after Thanksgiving! I hope to have an exact release date by next week. The game setting for the Dead Reign™ RPG is the Zombie Apocalypse and is all about survival, not just gunning down the walking dead. This game is a ton of fun and one of my personal favorites to run. Action, horror, adventure, and camaraderie amongst the players are always phenomenal, at least in my experience. I run it at conventions and gaming events all the time along with Palladium Fantasy® (my number one favorite RPG of all time). And if you love zombie-based TV shows, movies, comic books and novels, you will adore it. 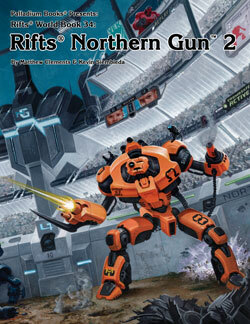 The Hardcover Editions of Rifts® Northern Gun™ have arrived at the warehouse and are being prepped for shipping to Megaverse Insiders by the end of next week. After that, a dozen or two of the Color Hardcover Edition and a few of the Steel Foil Edition will be made available to the lucky Surprise Package recipients who convince Santa Kevin they were good little boys and girls and truly deserve one. A few of each will also be made available for sale on my (Kevin Siembieda) Ebay store by the end of next week. 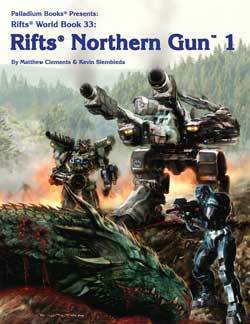 The Rifts® Northern Gun PDF for Megaverse Insiders has been prepared and will probably start getting emailed by the end of next week or the following week. 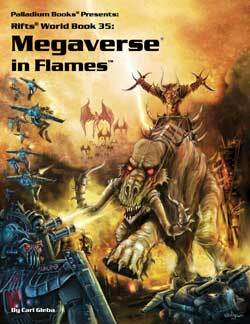 We want it to arrive around the same time other crowdfunders are getting the hardcover books. 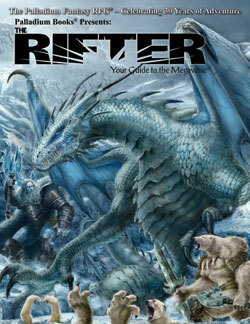 The Rifter® #64 goes to the printer on Monday! The book is in final production over the weekend. Yes, we’ll be working through yet another weekend to get it finished and to the printer by Monday. I already can’t keep track of the days, but we gotta get these books done! I’m just happy product is finally shipping. The Rifter® #64 is another fine issue with official and unofficial game material, and a nice selection of source material. There is stuff for Rifts®, Dead Reign™, Nightbane®, Beyond the Supernatural™ and Palladium Fantasy®, as well as other good stuff. Including official stats and background for the characters on the cover: A new type of dragon known as the Winter Serpent plus the more savage cousins of the Bearmen of the North: Ice Bearmen. 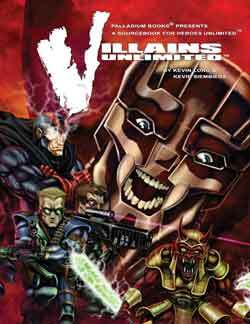 Both conceived by Chuck Walton, developed by me (Kevin Siembieda) and written by Matthew Clements. See the whole description elsewhere in this Update. The plague seems to be over . . .
Keep the orders coming in! Surprise Packages – suitable for any holiday, not just Christmas – are coming in and shipping out at a steady pace. I've been having fun putting together Surprise Packages that will wow our awesome customers. If you don’t know about the Christmas Surprise Package offer, take a look. It is a great opportunity to get autographs, great deals and the perfect gift for the gamer in your life. Or maybe for yourself. The Surprise Package is a great way to try new RPGs and plug holes in your collection. Have you tried Dead Reign™? Splicers®? Nightbane®? Rifts®? Robotech®? 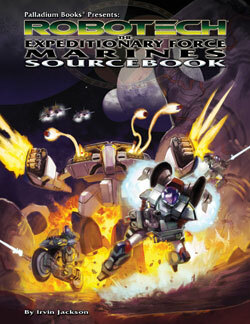 Here’s your chance to get the core rules and a couple of sourcebooks, signed and on the cheap. We do it to brighten the holidays for YOU – the greatest fans in the world. Check out the mini-description for the Surprise Package in this Update or the full description in the Palladium Online store. It is so worthwhile. And fun. I always try to make everything fun and special, especially something like this which is a holiday gift (even if it’s for yourself). Check your Wish List twice. Make sure you give us 10-12 items on your Wish List that are in print (and NOT all Gold Editions, which are very limited), or you might get items you already have or don’t want. It is a Grab Bag, after all, and if we don’t know what you’d like to get, we just grab items randomly. Remember to allow for shipping. Christmas may be 40 days away, but your method of shipping will affect whether you get it in time for that specific holiday. Here is our initial breakdown. Data may change as new info comes in from the various shipping services. This item does NOT count toward the overall value of your Surprise Package, it is a BONUS for those of you who might want it. Only available upon request. Include it in your Wish List or in the Comments section by saying, “I’d enjoy having an Erick Wujcik Keepsake,” and we’ll include one while supplies last. An Erick Wujcik Keepsake is a paperback novel or a magazine read and owned by Erick. This is from his personal and private collection. 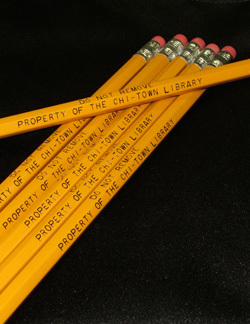 EACH will either be stamped with the words “From the collection of Erick Wujcik” or come with a super-simple statement of origin, we haven’t decided which yet. They are nothing extraordinary, just a book or magazine with sentimental value because it belonged to Erick Wujcik. Enjoy. Erick Wujcik was the game designing genius behind such RPG titles as Teenage Mutant Ninja Turtles® RPG, Ninjas and Superspies™, Mystic China™, After the Bomb®, Rifts® China One and Two, Rifts®, Dragons and Gods™ plus contributions to Palladium Fantasy RPG®, Monsters & Animals and the original Beyond the Supernatural™ RPG, as well as his own Amber Diceless RPG, Ambercon and other achievements. With the passing of his beloved Kate, we've all been thinking and talking about her and Erick. I know many of you knew and loved Erick personally and many more via his body of RPG works. I thought it might be nice to share some of Erick’s belongings with gamers who might enjoy them. That’s it for now. We have some new volunteers coming onboard at Palladium, as well as changes and plans for the Palladium Website and more activity on Facebook. I’ll tell you more about it next week. Game on! $85-$95 worth of product for only about $48 or so in every Palladium Christmas Surprise Package! These days, that’s the price of a core rule book or two supplements. And sometimes the crazy Publisher includes more even value than that! FREE Erick Wujcik Keepsake for Christmas Surprise Packages. A paperback novel or a magazine read and owned by Erick. This is a bonus item. Include it in your Wish List or in the Comments section by saying, “I’d enjoy having an Erick Wujcik Keepsake,” and we’ll include one while supplies last. Placing your Surprise Package order involves you sending Santa Kevin a “Wish List” of 10-12 different in-stock products and a flat payment (plus shipping and handling). I then hand-pick items from that Wish List and I may include product you didn’t ask for (hence the nickname, “X-Mas Grab Bag”), but all things I think you’ll enjoy, and we ship it all off to you. Gamers have been loving this special offer for 15 or 16 years now. Order one or several for yourself and for your gaming buddies. For the holidays, birthdays, anniversaries, or just to get cool stuff and signatures. Get all the information from the description in the online store. You have no idea how much your comments and support mean to all of us. Everyone at Palladium enjoy reading your brief comments. They always brighten our day. Thank you. I.T. in Portland, Oregon, writes (in part): Your games opened up a world of imagination and possibilities that changed my life. You taught me that the true value of a game is the experience, imagination and special bond that comes with creating a world with friends. The inherently inclusive, imaginative and special nature of Palladium has shaped my perspective and imagination. I thank you all for being a special part of my life. M.A. in Fort Benning, Georgia, writes: Thank you for the hard work you guys have been doing. Continue to do your best. S.Q. 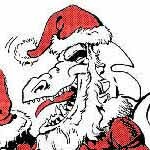 in Black Canyon City, Arizona, writes (in part): D&D is the game that got me into role-playing, but Rifts® is the game that made me a role-player. 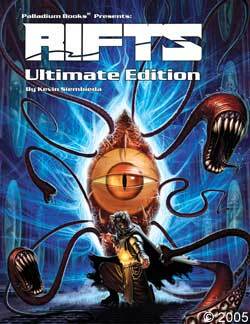 I have loved the Rifts® game line for years and my best RPG memories are from playing it with friends. My thanks for making a great game and universe. R.S. 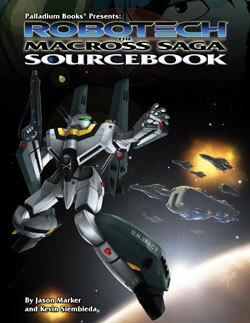 in Marshalltown, Iowa, writes: I’m excited to play Robotech® RPG Tactics when it comes out, and I wish you the greatest successes with it! Lastly, as a member of the 25+ years fan club, thanks for the memories. Happy Holidays. S.D. in London, Ontario, Canada, writes (in part): I’m a huge fan of the Palladium Role-Playing System, even though I don’t get to play as often as I’d like. One of my absolute favorite things to do is read the books cover to cover. I am very excited to see what kind of surprise I get. I know there is no way I will be disappointed. D.S. in El Paso, Texas, writes: Thanks for being a part of my annual X-Mas present to myself. Since the ‘80s you guys have helped feed my imagination, live out my fantasies, and generally made the world a more fun place to be. No other company is as in touch with its fans as you, and you guys set an example that other RPG companies would do very well to follow. B.W. in New Mexico, writes: I try to get [a Surprise Package] for my husband every year. He loves Palladium games. He always gets excited about your Grab Bags. J.L. in Downers Grove, Illinois, writes: Just wanted to mention that you guys are amazing! I’ve been playing Palladium since 2006. S.B. In Rimouski, Quebec, Canada, writes: Thank you very much for this excellent opportunity. I know it’s too early, but Happy Holidays to you all. Thanks everyone, we appreciate your input and kind words. More of your comments in the next weekly update. Happy Holidays.